Firefighters located and removed a female occupant out of her burning Fort Washington house on Thursday evening. Just before 8:30 pm firefighters were alerted by a 911 caller reporting smoke was coming from a house in the 9000 block of Old Palmer Road. Upon arrival firefighters found a 1-story house with smoke showing from the basement. As firefighters made entry, a female occupant, 60ish years of age, was found just inside the front door. She had no pulse and was not breathing. Firefighters immediately removed her and Medics initiated CPR while administering advanced pre-hospital care and transported the patient to a local hospital. The last medical update at around 9:30 pm included information that the patient had regained a pulse. Her condition is critical. The fire found in the basement was quickly extinguished. Fire loss estimates are not yet available. It appears the fire started in the basement with the exact cause of the fire remaining under investigation. 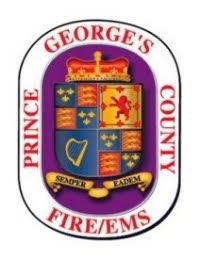 Preliminary reports indicated that working smoke alarms were sounding and that the female may have had her egress hampered by a double cylinder deadbolt on the front door. These types of locks require a key to unlock the deadbolt from the interior of the house. The female occupant was found inside the house in the area of the front door. Personnel from the Fire/EMS Department’s Office of the Fire Marshal are on the scene working to determine additional information on the cause and origin of this fire.